Syzygium aromaticum dried buds or whole cloves were obtained commercially. The cloves (1.5 kg, whole) of Syzygium aromaticum were sequentially and exhaustively extracted with hexane and ethyl acetate to give, after solvent removal in vacuo, a hexane extract (68.8 g, 4.9%) and an ethyl acetate extract (34.1 g, 2.3%). 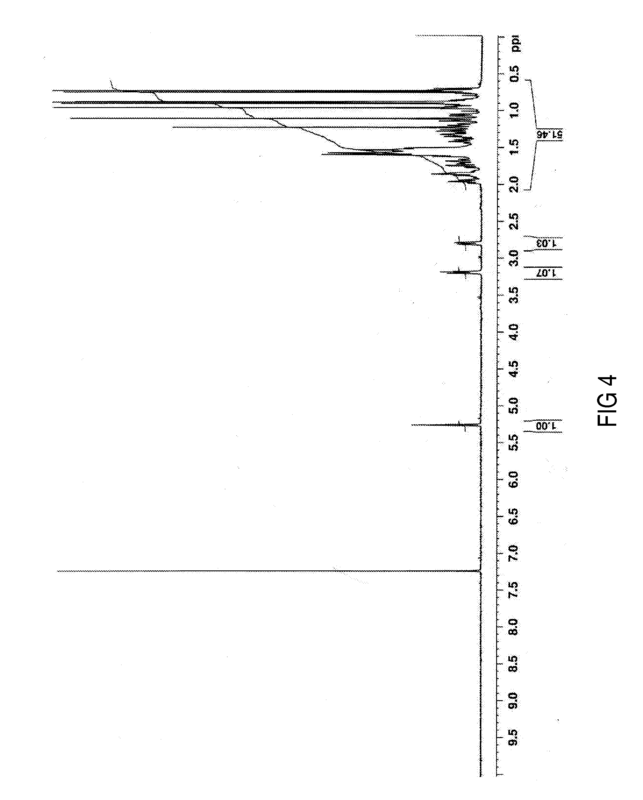 A portion of the ethyl acetate extract (10.0 g), was subjected to chromatographic separation on silica gel (60-120 mesh) column (40×5.0 cm). Elution with hexane/ethyl acetate solvent mixtures (8:2→6:4) afforded pure oleanolic acid (9) (4.7 g, 1.06%), a mixture of oleanolic acid (9) and maslinic acid (10) (0.5 g), and pure maslinic acid (10) (0.25 g). 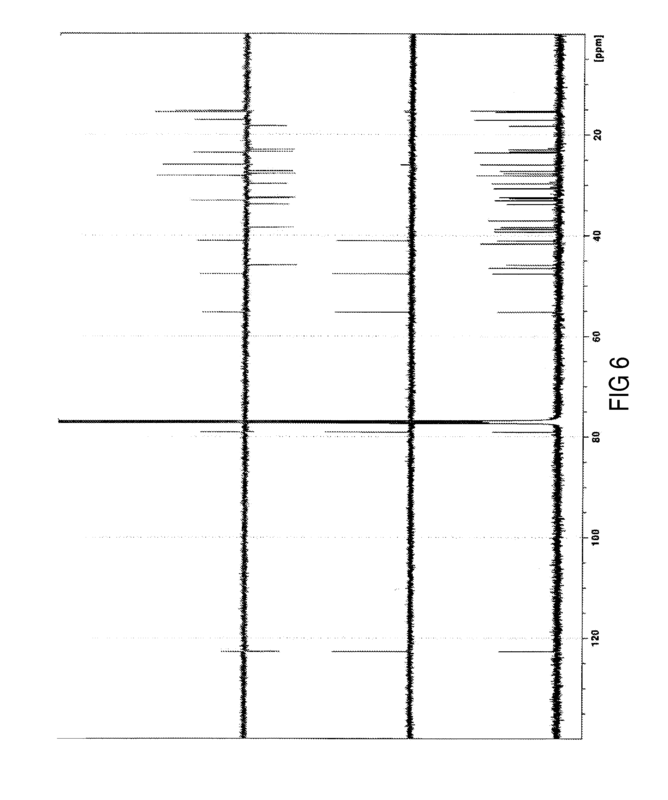 The structures of oleanolic acid (9) and maslinic acid (10) (as 2,3-diacetoxyoleanolic acid) were confirmed by spectroscopic data analysis (1D and 2D 1H NMR and 13C NMR experiments) (FIGS. 4-7 and FIGS. 8-10, respectively). IR spectroscopy has been widely employed to distinguish between different crystal forms such as polymorphs, clathrates, hydrates and co-crystals. IR has been used to monitor co-crystal formation and single synthon detection. In this work, we have developed a strategy to identify multiple supramolecular synthons in polymorphs and co-crystals with this technique. The identification of multiple synthons in co-crystals with IR is difficult for several reasons. In this paper, a four step method involving well assigned IR spectral markers that correspond to bonds in a synthon is used. 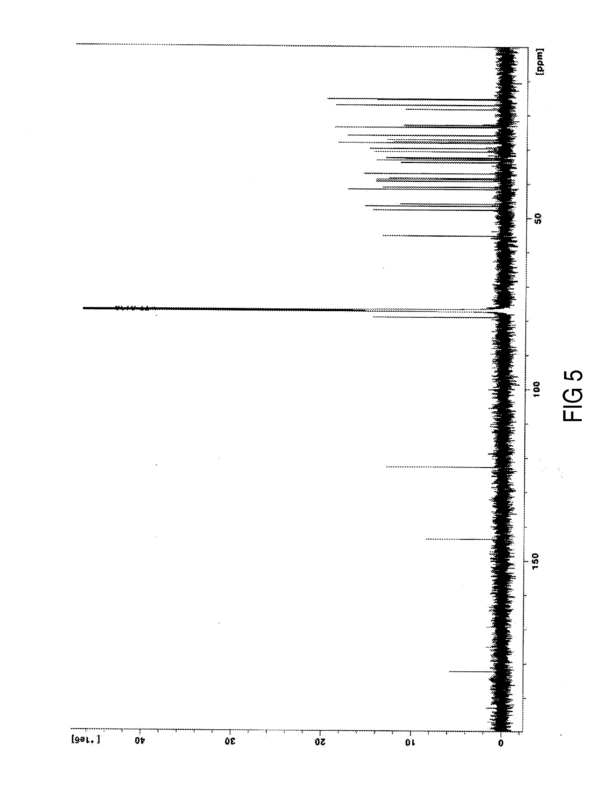 IR spectra of three forms of the co-crystal system, 4-hydroxybenzoic acid:4,4′-bipyridine (2 : 1), show clear differences that may be attributed to differences in the synthon combinations existing in the forms (synthon polymorphism). 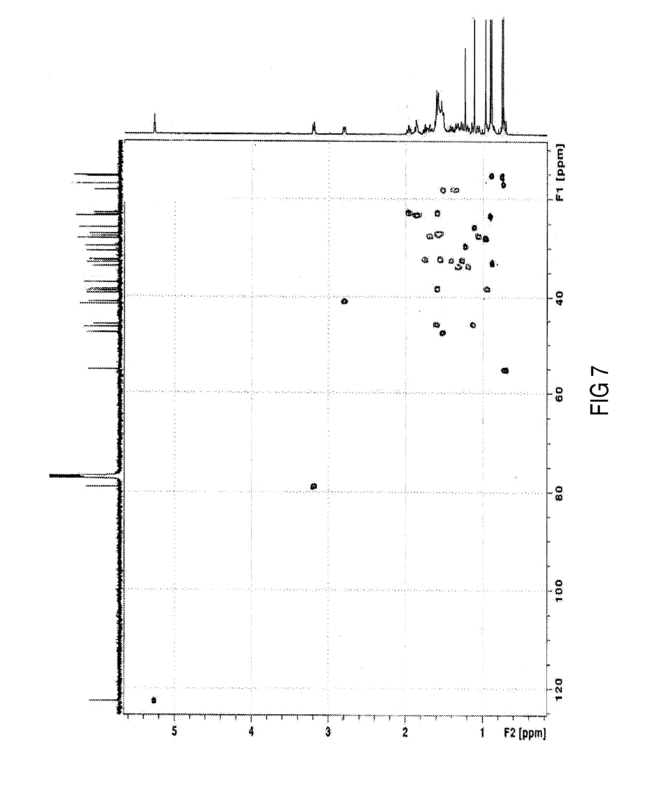 These differences were picked out from the three IR spectra and the bands analysed and assigned to synthons. Our method first identifies IR marker bands corresponding to (covalent) bonds in known/model crystals and then the markers are mapped in known co-crystals having single synthons. Thereafter, the IR markers are queried in known co-crystals with multiple synthons. Finally they are queried in unknown co-crystals with multiple synthons. In the last part of the study, the N–H stretching absorptions of primary amides that crystallize with the amide dimers linked in a ladder like chain show two specific absorptions which are used as marker absorptions and all variations of this band structure have been used to provide details on the environment around the dimer. The extended dimer can accordingly be easily distinguished from the isolated dimer.